This RSEvents!Pro Anz eGate Payment Plugin is commercial and needs to be purchased separately. The price of the plugin is: 9 EUR. Description: This plugin offers the possibility for subscribers to pay for the selected tickets via Anz eGate gateway. This payment plugin is purchased separately and requires installation. The installation process is explained here. The plugin parameters can be adjusted from the RSEvents!Pro > Payment integrations area. Merchant ID: your Merchant ID. Merchant access code: your Merchant access code. 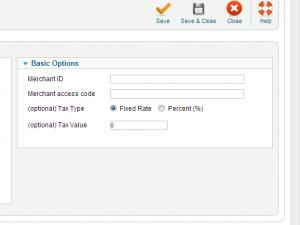 (optional) Tax Type: Percent (%) / Fixed Rate. (optional) Tax Value: numeric value of tax. For testing mode, add TEST in front of your Merchant ID. The transaction details can be viewed from the RSEvents!Pro back-end by accessing the Components > RSEvents!Pro > Subscribers tab.